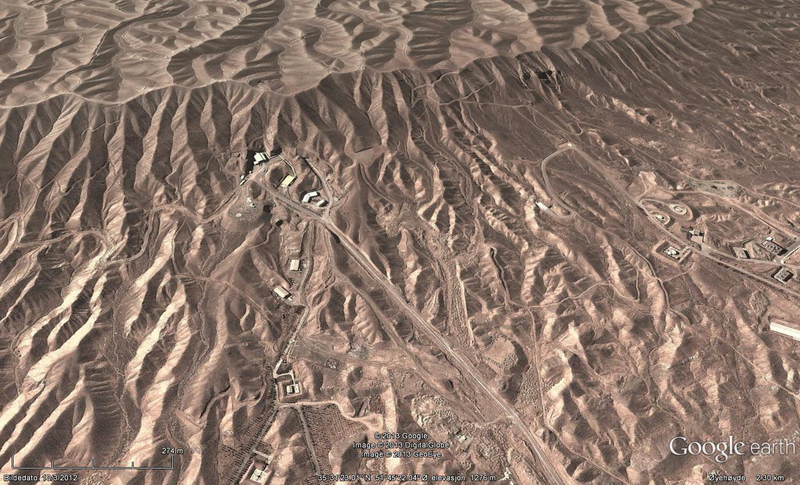 In further distracting attention from Iran’s obligations as regards its nuclear program, the recent attempt by Herman Naeckerts and his IAEA team of negotiators to gain access to the Parchin military complex 30 km southeast of Tehran just failed again, as did previous enterprises in this regard. For obvious reasons, as Iran continues to describe the alleged evidence of that it had conducted illicit experiments with high explosives in a certain building on the vast complex a decade ago as fabricated as long as it has no chance to have a look at it. A further meeting has been scheduled for February 12. 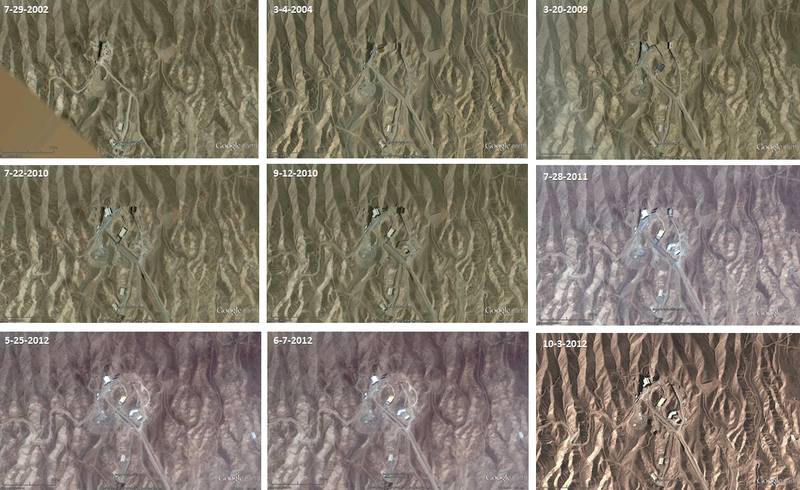 As a matter of fact, the respective site at Parchin with its two bigger buildings and a couple of garages or toolsheds had undergone considerable construction/renovation work since March 2012 (after years of no activity), and one small building had actually been demolished before May 25, 2012, as can be seen on GoogleEarth satellite images below (encircled). Iran’s agenda when drawing attention apparently by intention to the suspect site, which is right now under permanent scrutiny via satellite imaging, by obvious construction/renovation work (including hitting-the-eye covering the two main buildings with flashy pink tarpaulins) is not clear at all. 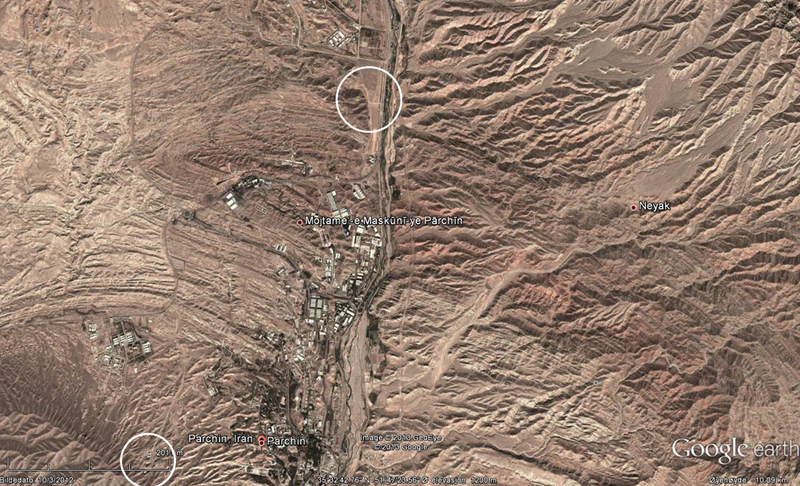 No matter of whether illicit experiments with high explosives had been done before 2003, they might have been conducted elsewhere, at Parchin or, for instance, at the site at Marivan (which is close to the site where three American hikers had crossed the Iranian border with Iraq in June 2009 who had then been arrested by Iranian border patrols) which is also mentioned in the November 2011 report by IAEA DG Yukiya Amano. 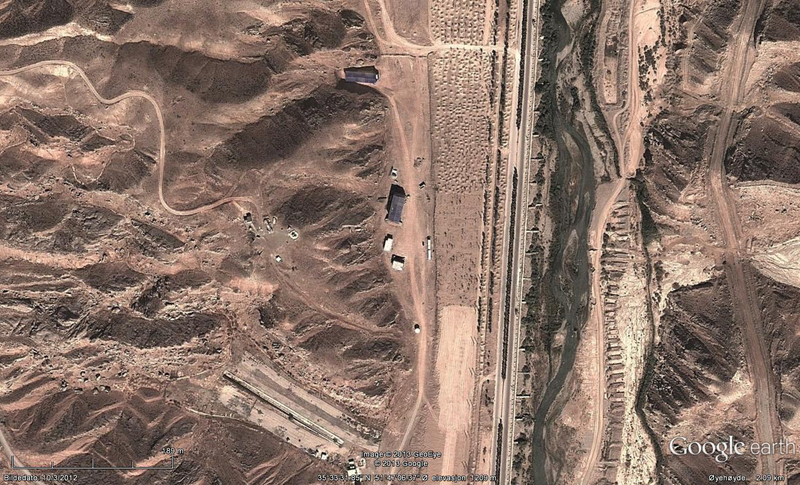 It is also possible that Iran does create ambiguity by purpose only to be relieved when nothing was found at the Parchin site after IAEA inspectors were eventually granted access. That conducting illict experiments with high explosives in a building (partly sealed off by an infamous berm) do not make too much sense was stressed yesterday by former IAEA director of nuclear inspections in Iraq, Robert Kelley. Tunnels would do better. There seems to be better locations at Parchin. Kelley exemplifies an area close to the main complex (encircled at the bottom of the satellite image), about 5 km southwest to the suspect building site (top). It consists of a number of buildings and apparently entrances for tunnels dug deep into the mountain. In spite of the possibility that Iran is still conducting experiments with high-explosives, it is, however, unlikely that before 2003 the site had been active. 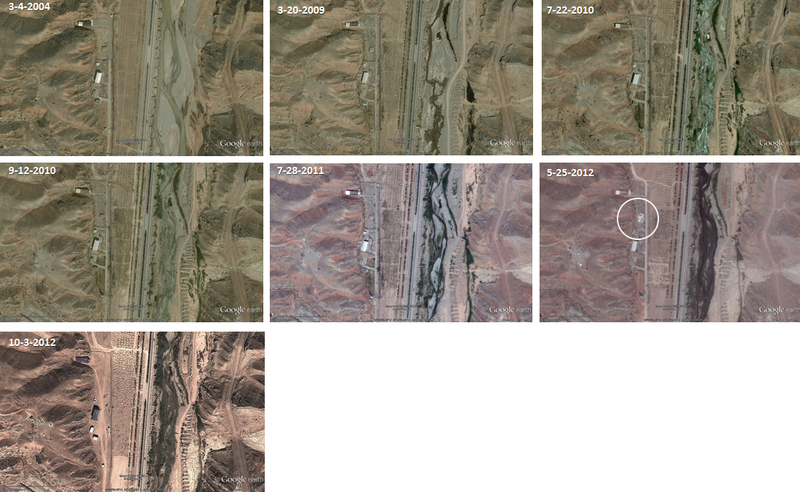 GoogleEarth provides timeline images which indicate that major tunnel construction activities only started after 2004 (in 2005, President Mahmoud Ajmadinejad, a downright tunnel expert by education, had been elected for the first time). Anyway, the ongoing Parchin charade about alleged experiments which have or have not been conducted a decade ago has largely distracted attention and has quickly to be solved. Kelley suggests something new. 19 January 2013 @ 11:42 am. Last modified January 19, 2013. This entry was posted in IAEA, Iran and tagged Herman Naeckerts, high-explosives, NPT, Parchin, Robert Kelley, tunnel. Bookmark the permalink.